If you search for this, you only find a few blog posts about this version – most focus on Microsoft Windows Virtual Desktops (WVD). 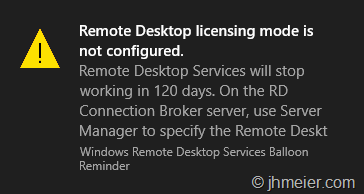 The actual content is mostly only showing multiple RDP session at the same time on a Windows 10 VM – like you know it from the Microsoft Remote Desktop Session Host (RDSH) (or to keep the old name: Terminal Server). Only Cláudio posted two post during the last days about this topic which lead to some interesting discussions. You can find them here and here. When using Office 365 and other programs there are some limitations when running them on RDSH – often it’s even not supported. 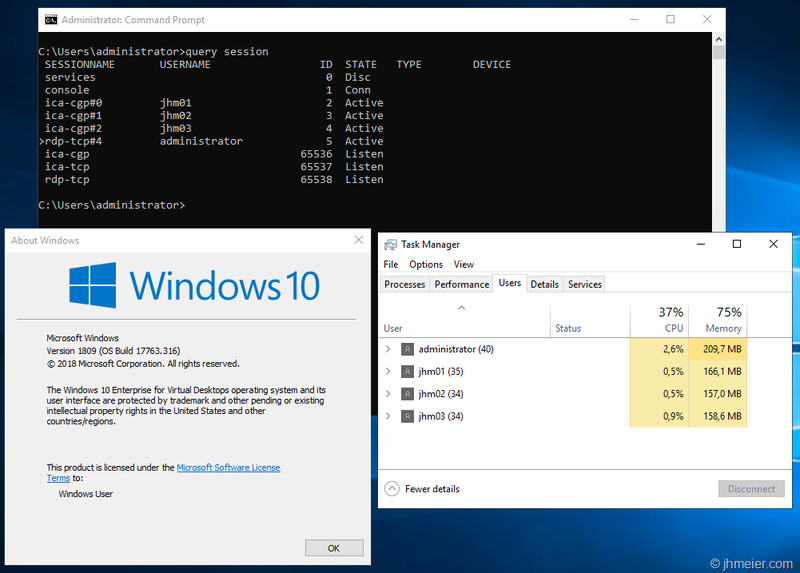 When now Windows 10 allows multiple users to connect to one VM they have the full Windows 10 experience and on the other side they are still sharing one VM (like with RDSH). 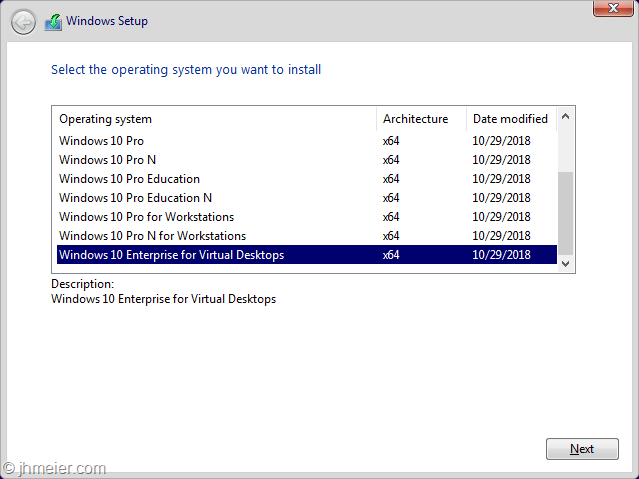 When booting an official Windows 10 1809 Iso I saw that there is still Windows 10 Enterprise for Virtual Desktops available. As I didn’t find any blog posts having a look at this version I decided to have a look myself. If you installed Enterprise and want to get #WVD, you can also simply upgrade it with this key: CPWHC-NT2C7-VYW78-DHDB2-PG3GK – this is the KMS Client key for ServerRdsh (SKU for WVD). Works with jan_2019 ISO. Ok let’s get to the technical part. I connected an 1809 Iso, booted a VM and got the following Windows-Version selection. 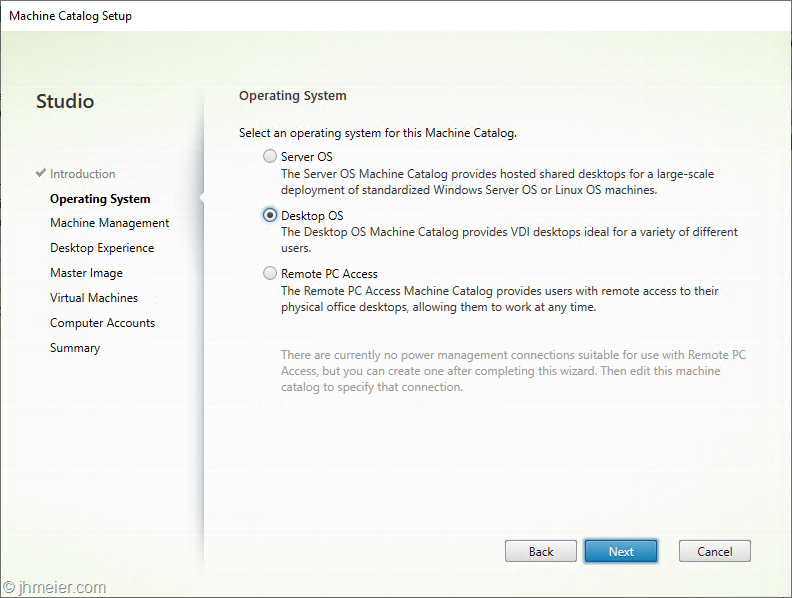 After selecting Windows 10 Enterprise for Virtual Desktops the normal Windows Installer questions followed. 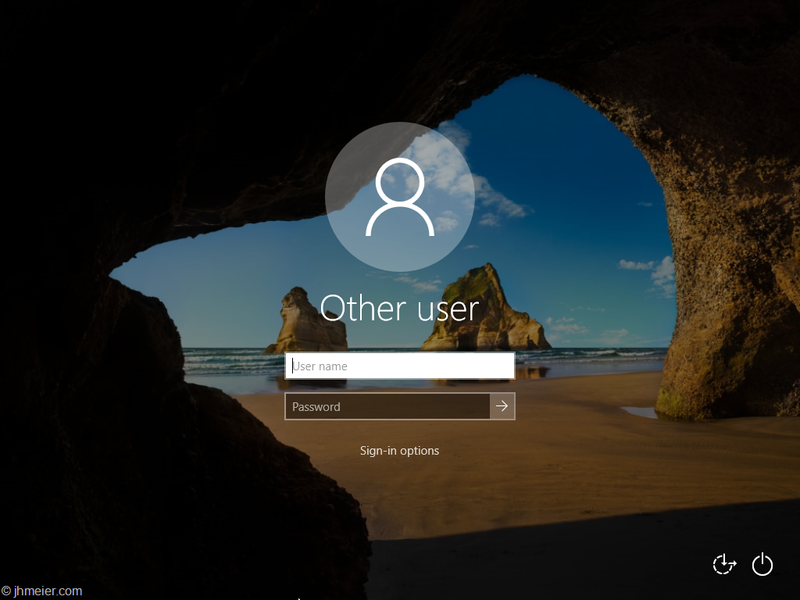 No question for domain join or user – just a login prompt. So, I started to search and only found one hint on twitter (about the Insiders Build) that the only options are to reset the password with a tool or add a new user. 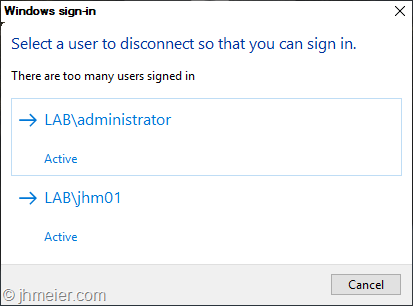 Before you are wondering: Yes it’s possible to create another Administrator Account for Windows without having login credentials. As I already tested that in the past (and didn’t want to test out which password reset tool fits) I decided to take that way. 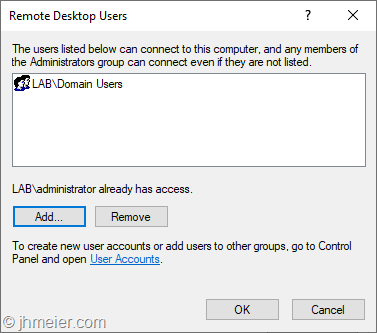 Jeremy Stroebel gave me the following hint on Twitter – this way you can skip the steps below to create a local Administrator-User and continue at Multiple RDP-Connections – Not Domain Joined. Easier, boot to safe mode and it logs right in… then add your user. 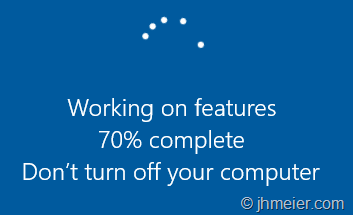 Ok time to boot another time from the ISO and open the Command Prompt (press Shift + F10 when the setup shows up). Now we need to replace the Utility Manager (from the normal Login-Screen) with the cmd.exe. 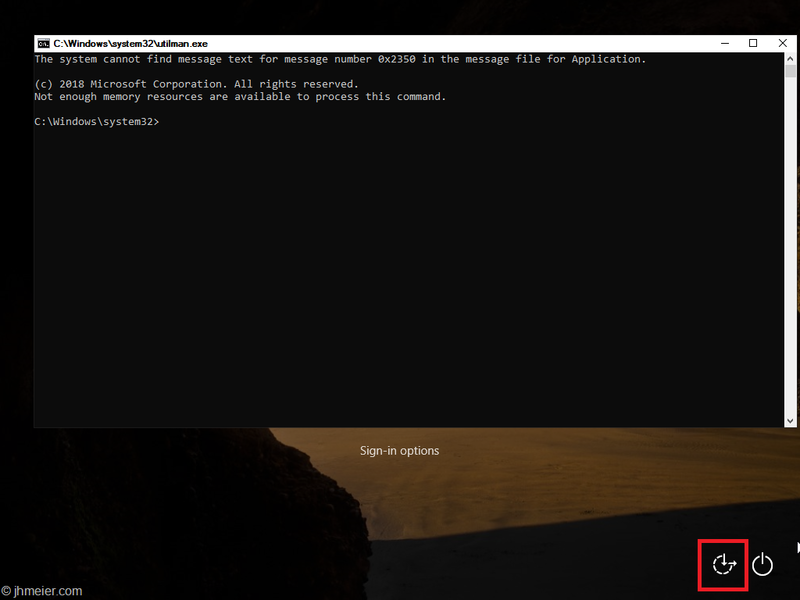 The Utility Manager from the Login-Prompt is always started with Admin-Rights…. 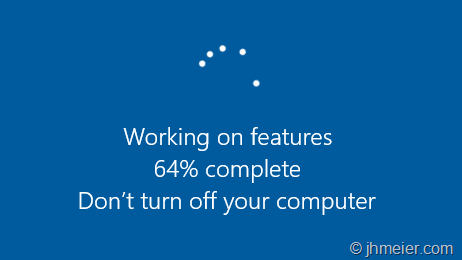 All Windows Updates had been installed before and I added no other Windows features, functions or any programs. So what was installed now? Before you could see the created users and select one for login – now you need to enter username and password. Looks quite familiar to an RDSH host after booting or? 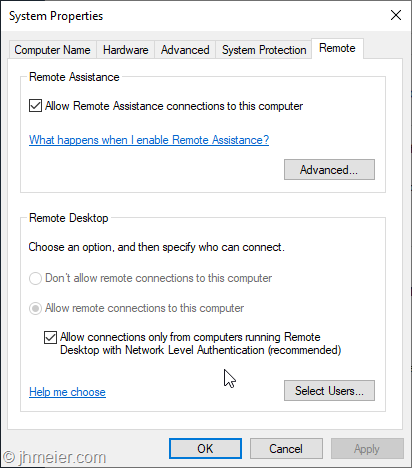 So it looks like the “RDSH”-Role is installed when RDP was enabled and Windows is rebooted. Time for the next tests. 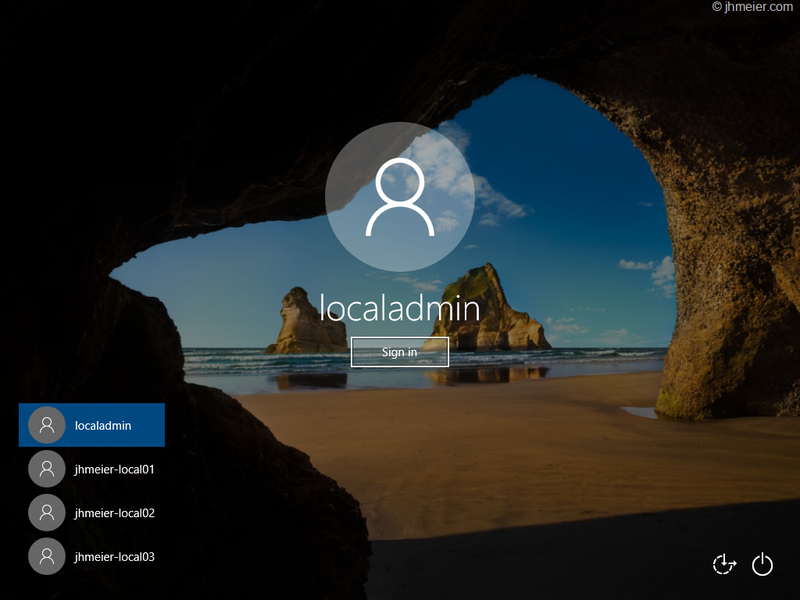 After a reboot I logged in with a Domain Admin to Allow Remote Connections to this Computer. Interestingly this was already enabled. Furthermore it was not possible to disable it any longer. 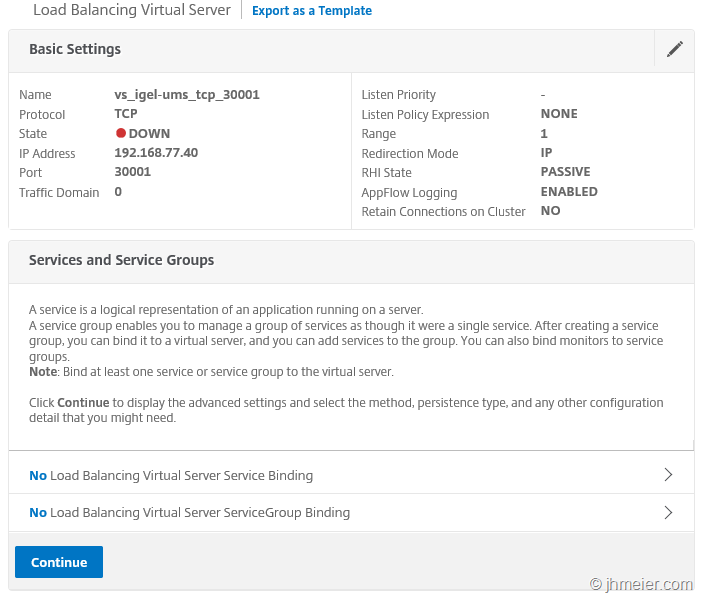 There had been no policies applied to enable this setting – only the default Domain Policy was active. So let’s go on and allow the Domain Users to connect. 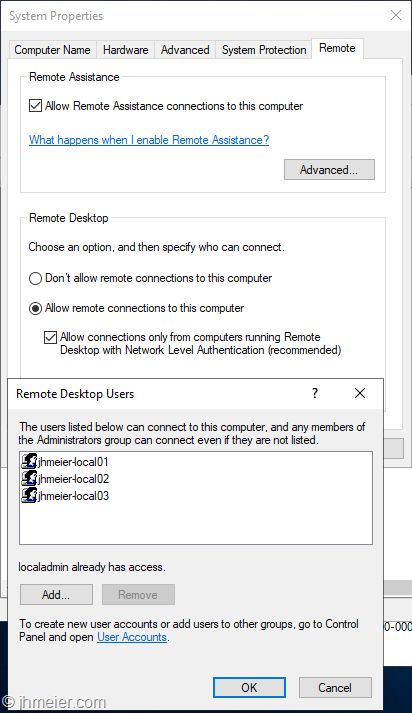 Now several domain users are able to connect to the Windows 10 VM at the same time using RDP. 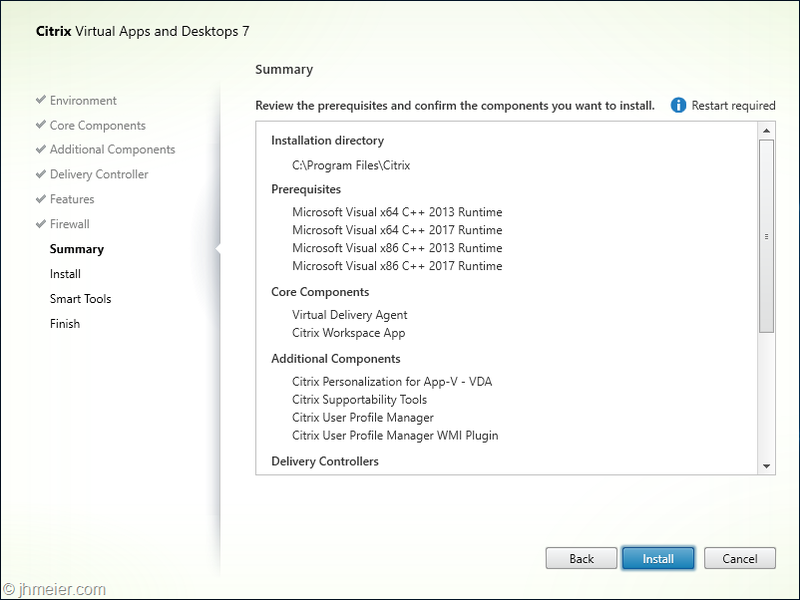 The next logical step for me was to try to install a Citrix Virtual Delivery Agent on the VM. 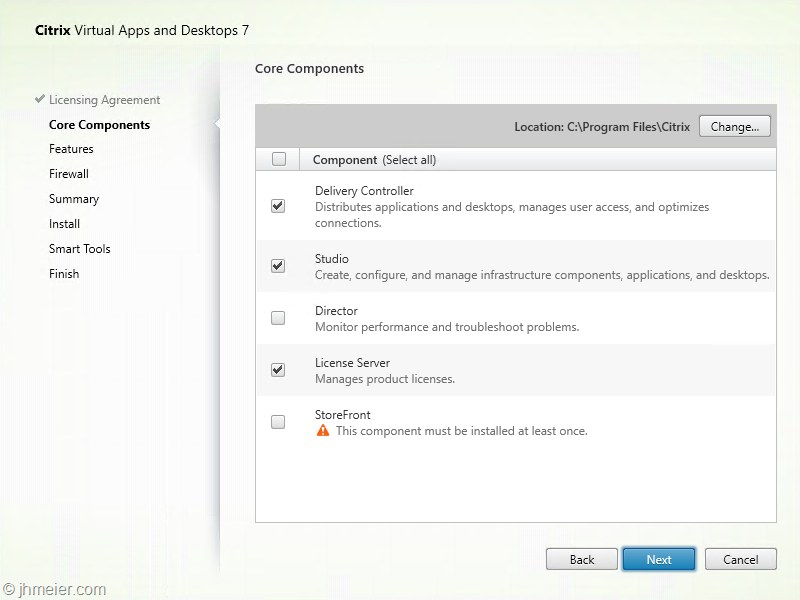 So connect the Virtual Apps and Desktop 7 – 1811 iso and start the Component selection. But what’s that? Next to the VDA it’s also possible to select all other roles – which are normally only available on a Server OS! (Just a quick reminder: None of the things I test here are designed or supported to work under such circumstances). I couldn’t resist and selected Delivery Controller. 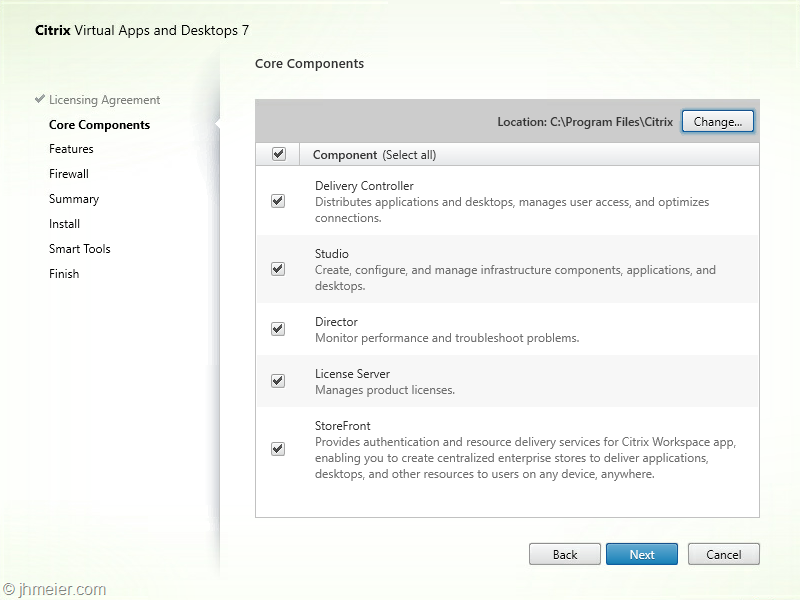 After accepting the license agreement the Component selection appeared. I selected all available Components. 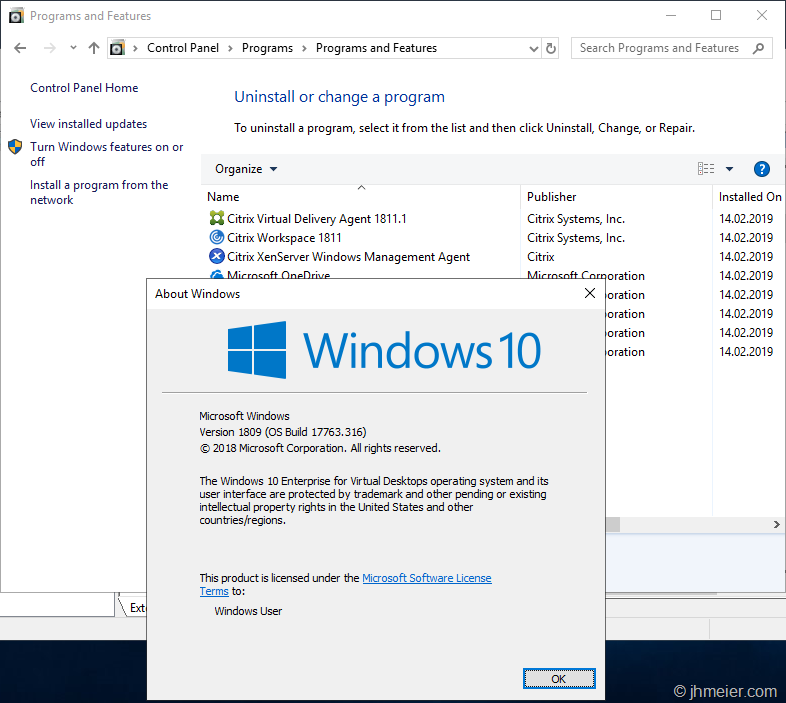 The first prerequisites are installed without issues – but the installation of the Microsoft Internet Information Service (IIS) failed. 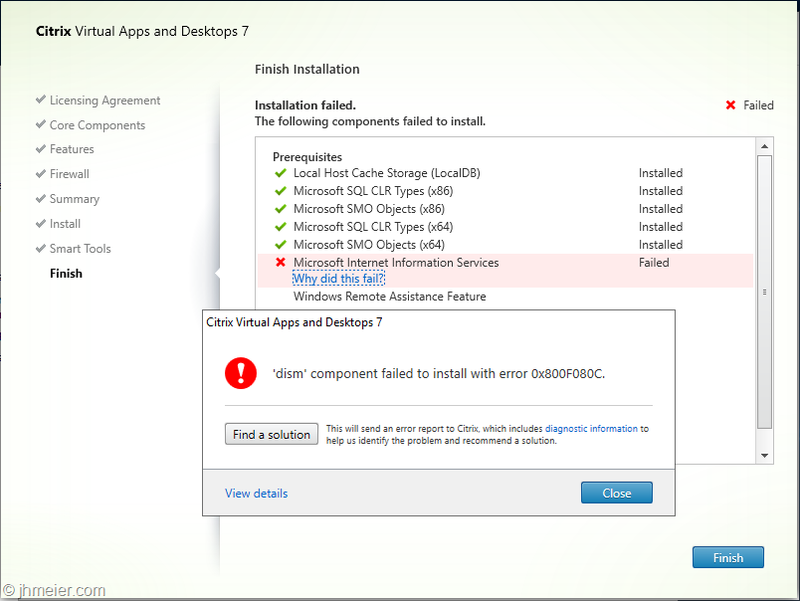 The error just showed something failed with DISM. So I just installed the IIS with all available components manually. 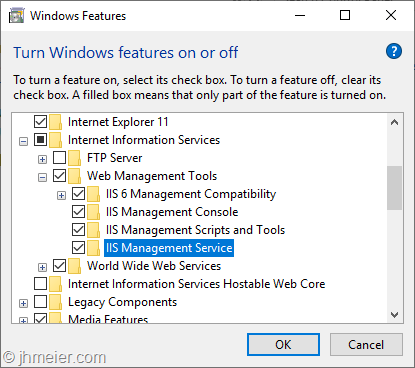 But even after installing all available IIS components the Delivery Controller installation still failed at the point Microsoft Internet Information Service. 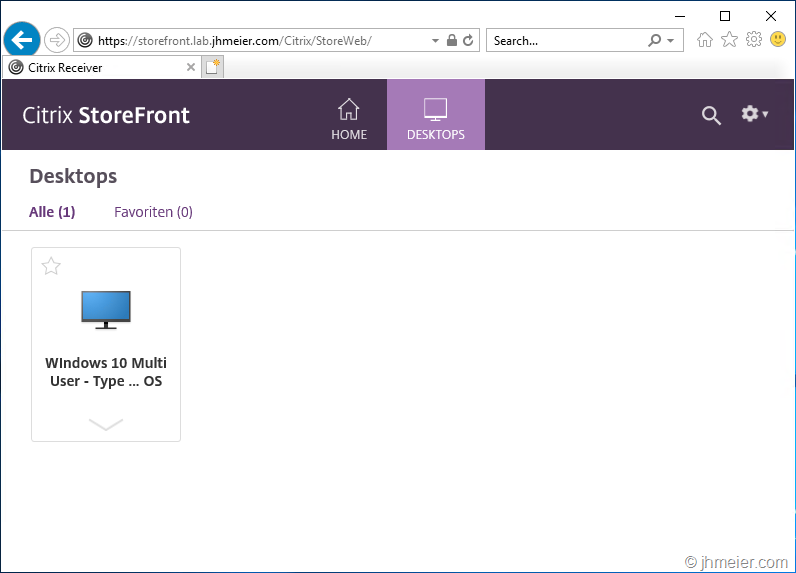 I decided to first have no deeper look into this issue and remove all components that require the ,IIS: Director and StoreFront. 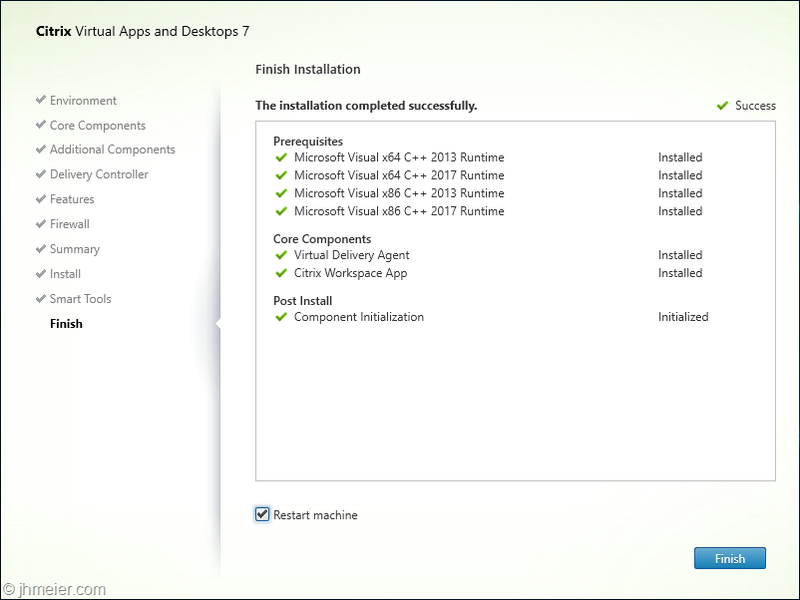 The installation of the other components worked without any issues – as you can see all selected components are installed on Windows 10 Enterprise for Virtual Desktops. 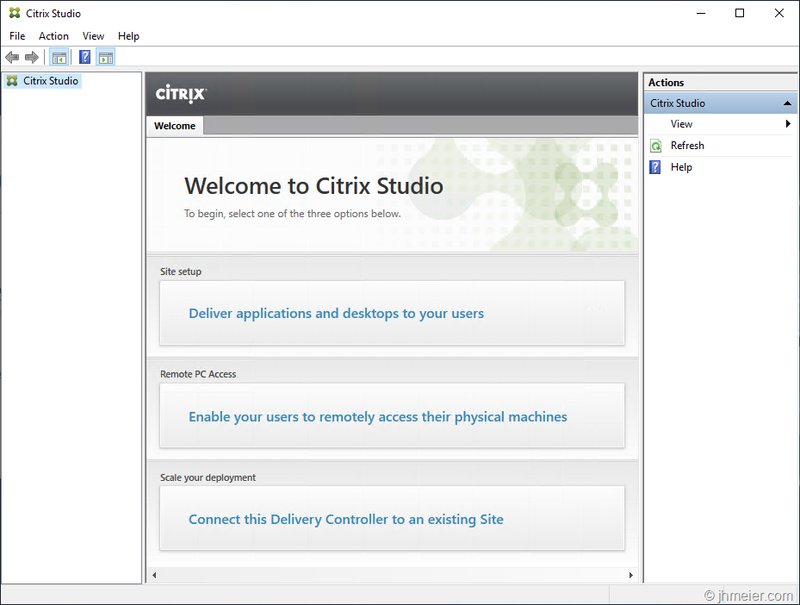 The Citrix Studio opens and asks for a Site Configuration – as on every supported Server OS. Time to create a Site on our Windows 10 Delivery Controller. The Summary shows that the Site was successfully created. 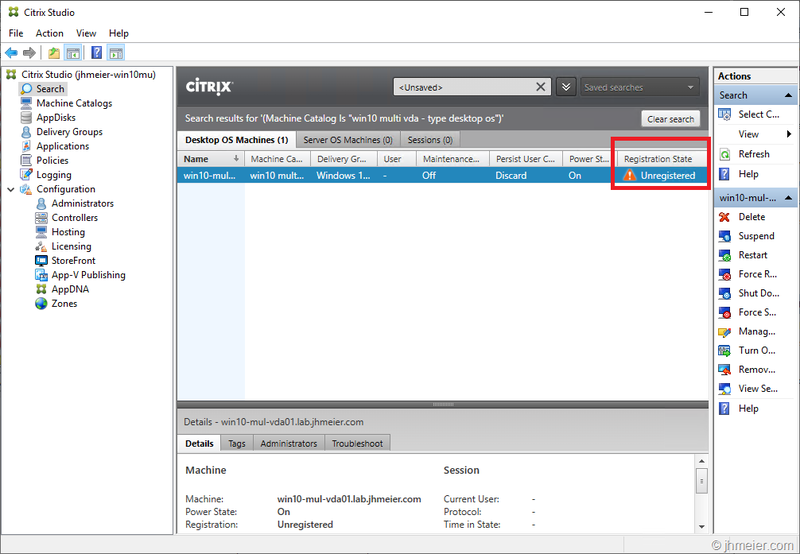 And the Citrix Studio now shows the option to create Machine Catalog. And a last check of the services: Everything is running fine. Before we now can create a Machine Catalog we need a Master VDA. 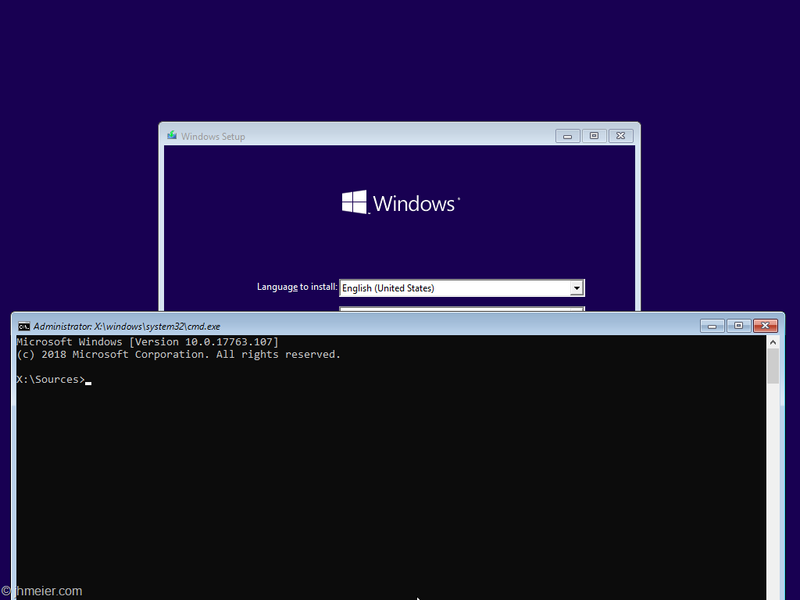 So let’s create another VM with Windows 10 Enterprise for Virtual Desktops. 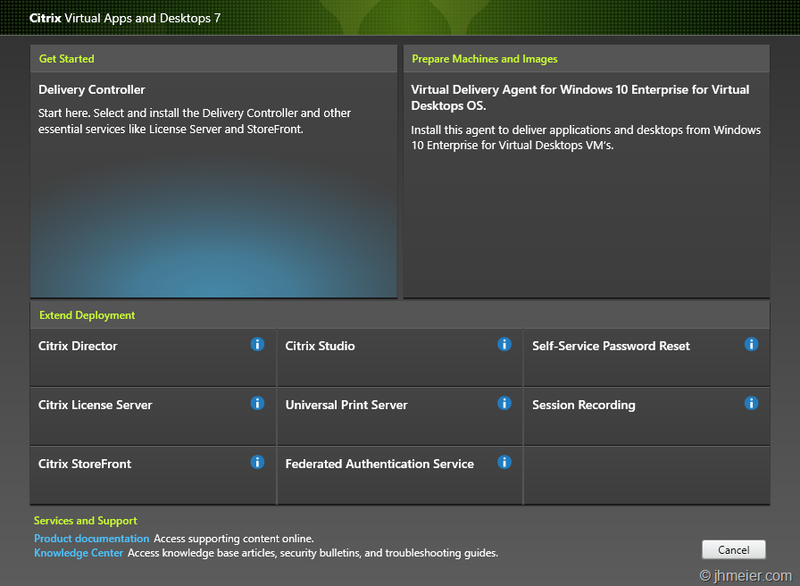 Repeat the steps from above (Domain-Join with two reboots) and connect the Citrix Virtual Apps and Desktops ISO. 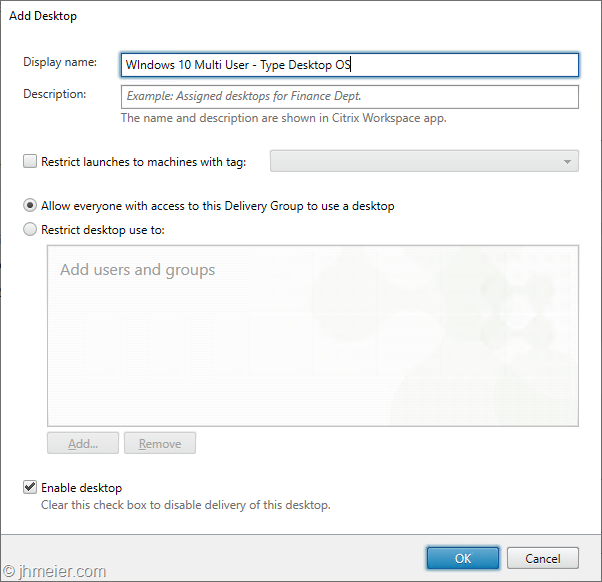 This time we select Virtual Delivery Agent for Windows 10 Enterprise for Virtual Desktops. 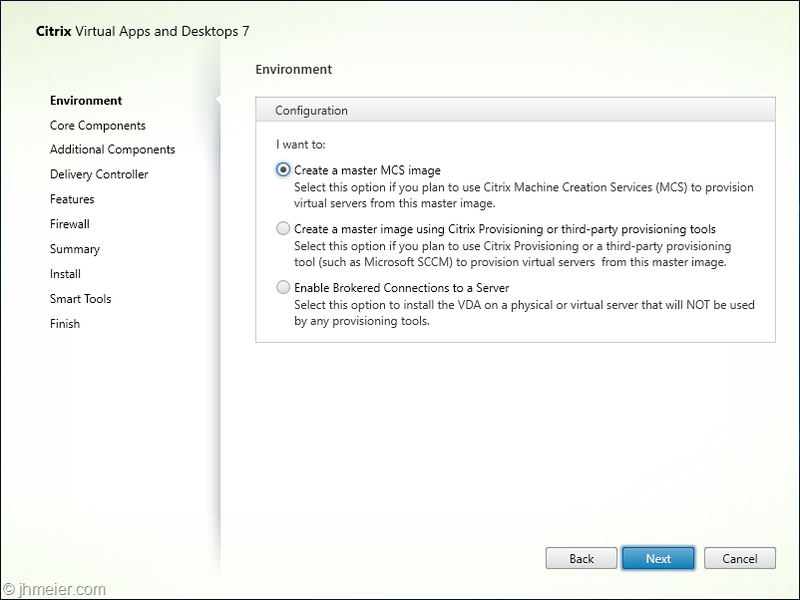 To be able to create multiple VMs from this Master-VM using MCS select Create a master MCS image. The next step is to select the Additional Components – like in every other VDA Installation. 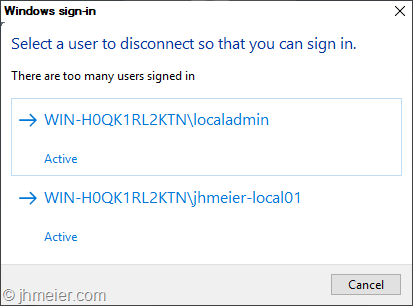 Now I entered the name of the Windows 10 VM where I previously installed the Delivery Controller. The summary shows the selected components and the Requirements. ….and finished without any errors. 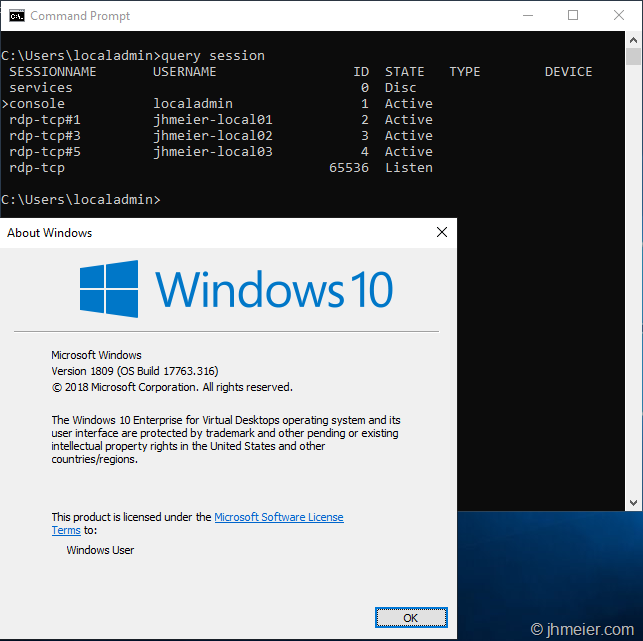 The VDA was successfully installed on Windows 10 Enterprise for Virtual Desktops. 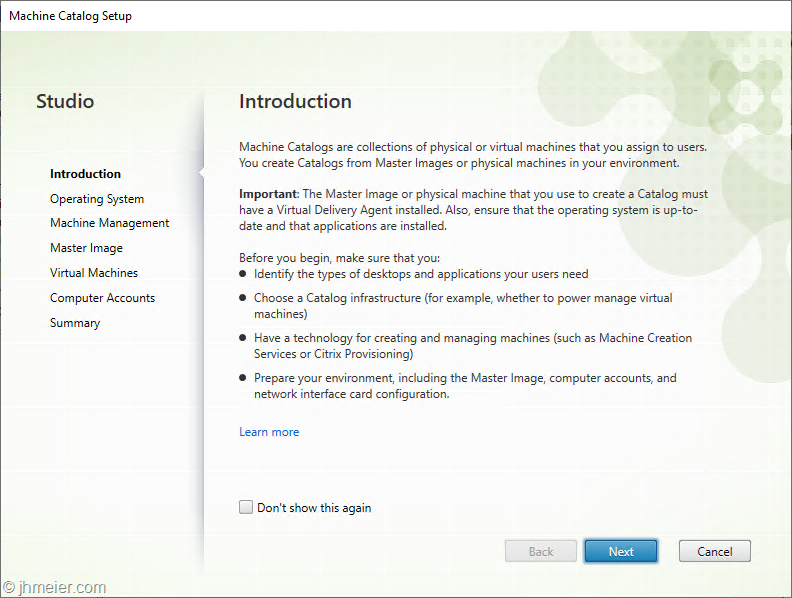 Time to deploy some VMs – so switch back to the Studio and start the Machine Catalog Configuration. The first step is to select the Operation System. 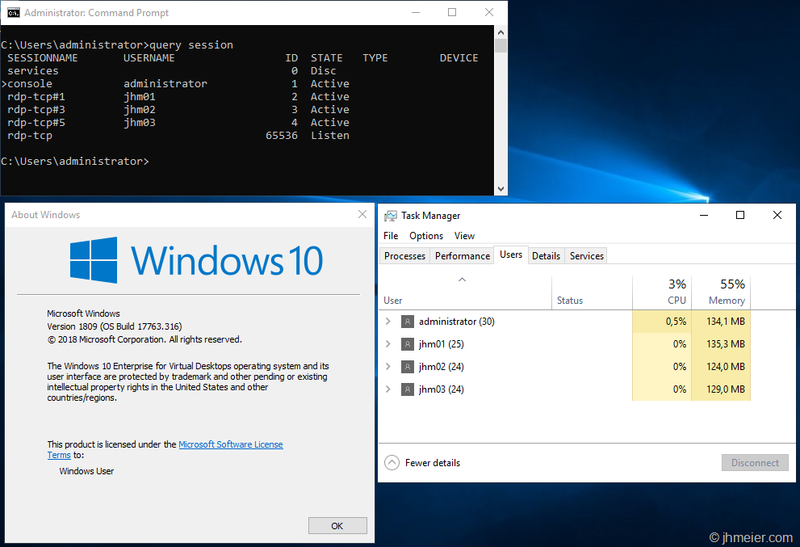 Normally this is easy: Server OS for Windows Server 2016 / 2019 – Desktop OS for Windows 10. 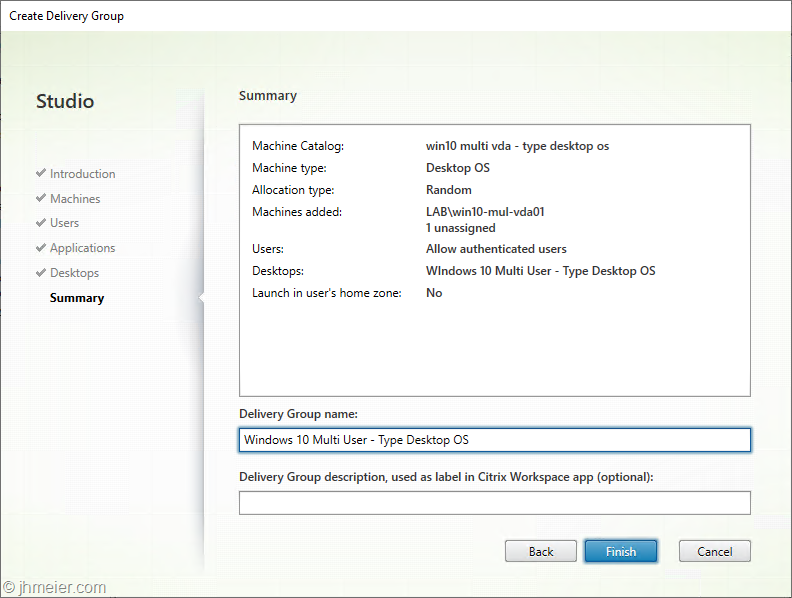 But this time it’s tricky – we have a Desktop OS with Server OS functions. I first decided to take Desktop OS – although I thought Server OS might fit better. 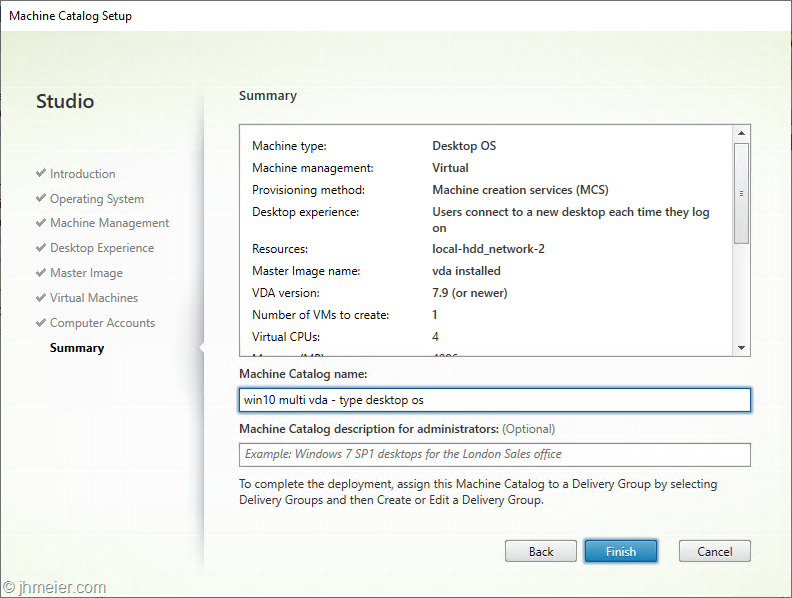 Select the just created Master-VM and configure additional Settings like CPU, RAM, etc.. 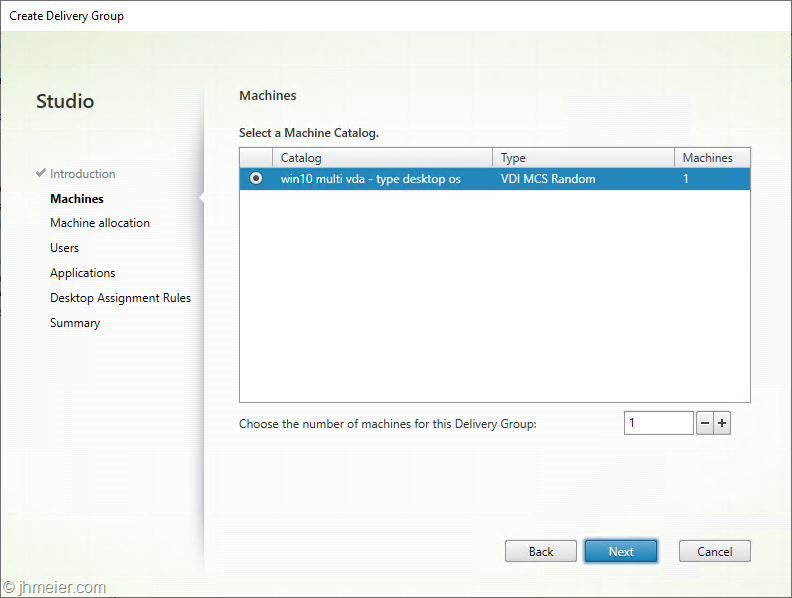 Finally enter a name for the Machine Catalog and let MCS deploy the configured VMs. 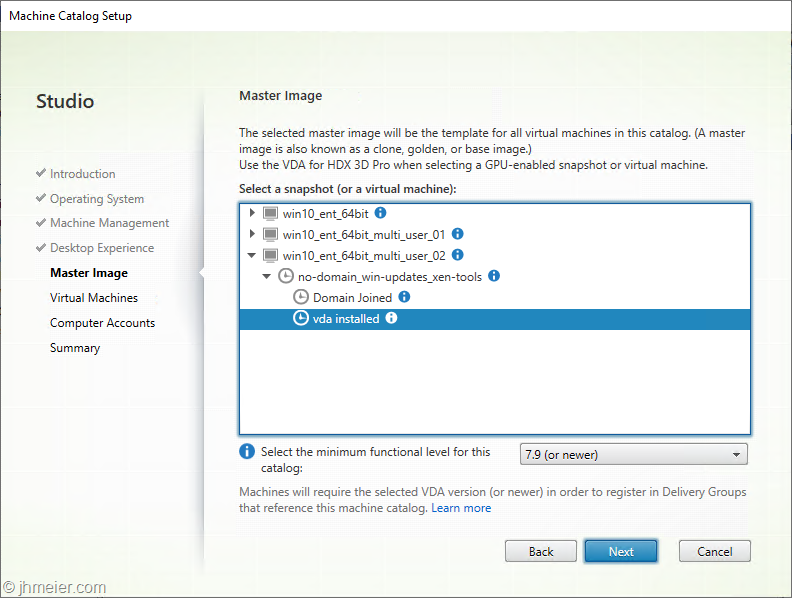 As we have now a Machine Catalog with VMs it was time to create a Delivery Group – thus we can allow users to access the VM(s). … and added a Desktop to the Delivery Group. The Summary shows the configured settings. 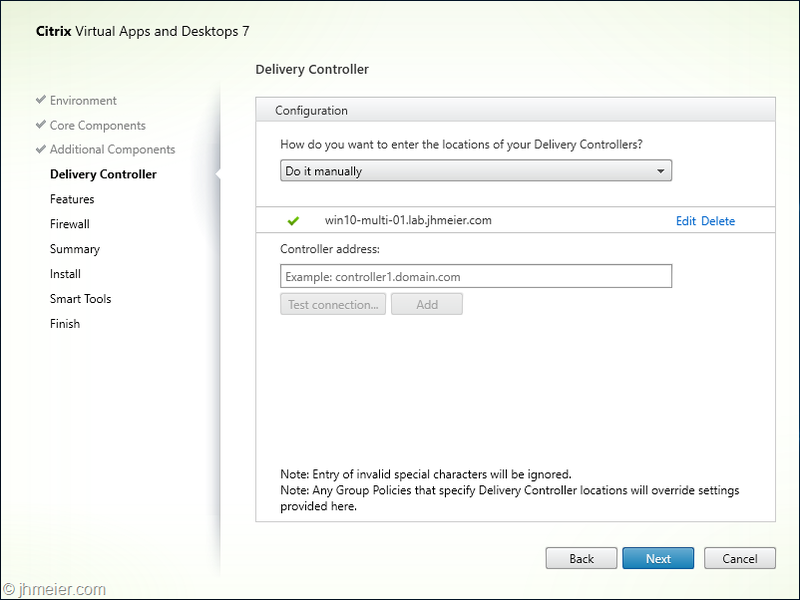 Now we have everything ready on the Delivery Controller – just the user access is missing. 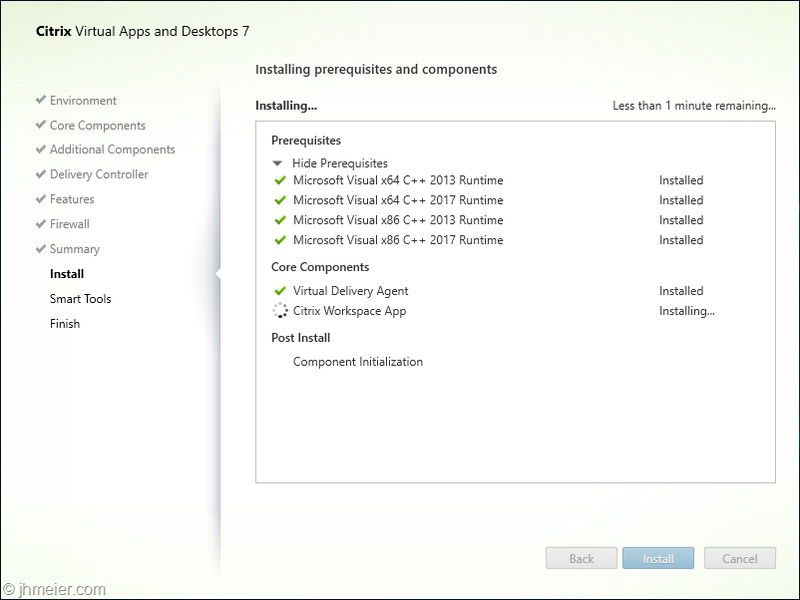 As the installation of StoreFront failed I added the Windows 10 Delivery Controller to my existing StoreFront Deployment. After logging in the User can see the just published Desktop. Unfortunately, the user is not able to start the published Desktop. So back to the Delivery Controller. Oh – the VDA is still unregistered with a “!” in front of the Status. 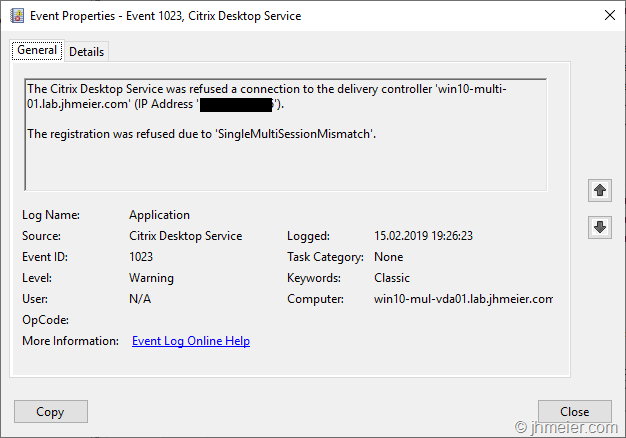 The Citrix Desktop Service was reused a connection to the delivery controller ‘win10-multi-01.lab.jhmeier.com. The registration was refused due to ‘SingleMultiSessionMismatch’. Looks like my feeling was correct that the Machine Catalog should have the Operating System Server OS. I created another Machine Catalog and Delivery Group – this time with the type Server OS. Let’s boot a VDA and check the Status: Registered. Time to check the user connections. 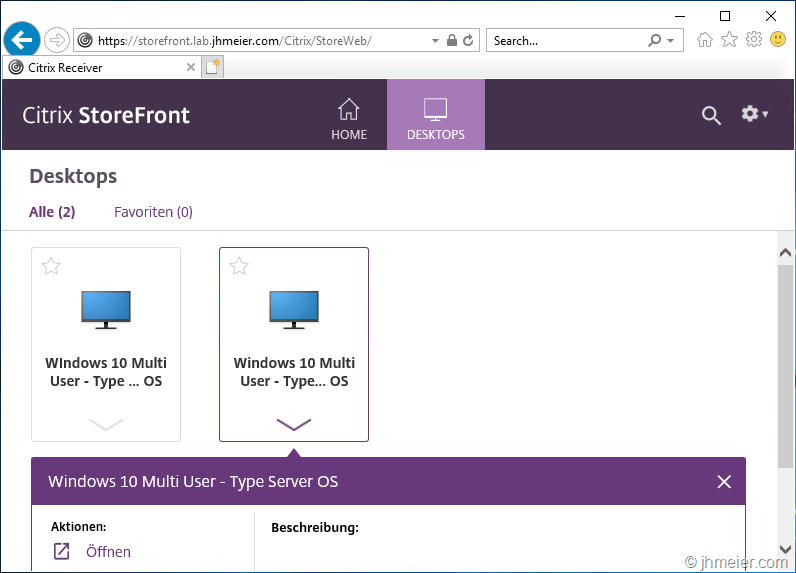 After logging on to StoreFront the user now sees the second published Desktop – Type Server OS. And this time the connection is possible. 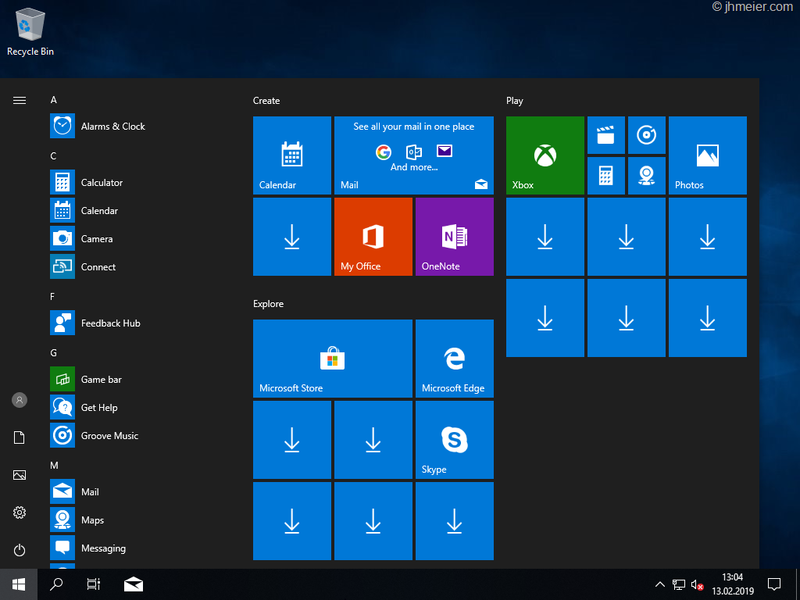 As you can see we have now multiple users connected using ICA to the same Windows 10 VDA. 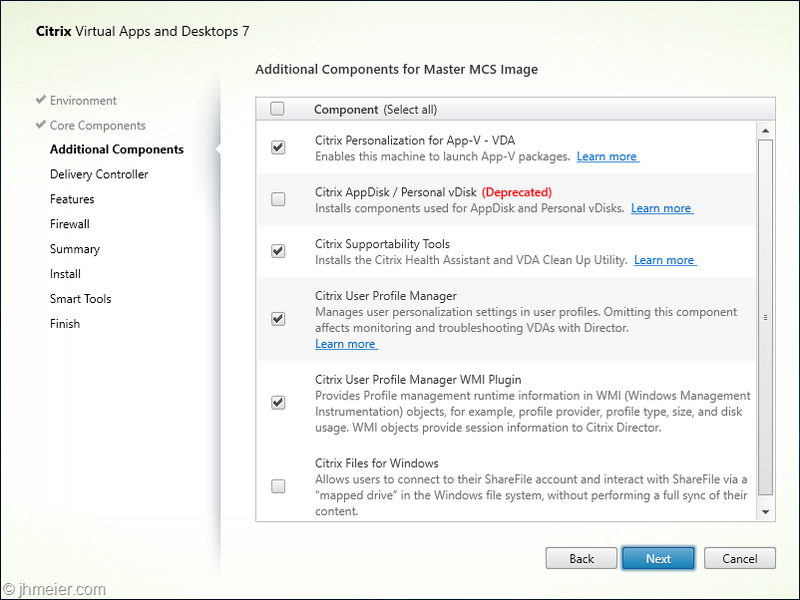 If the last point can be fixed it would be possible to create an “all-in” Windows 10 Citrix VM. 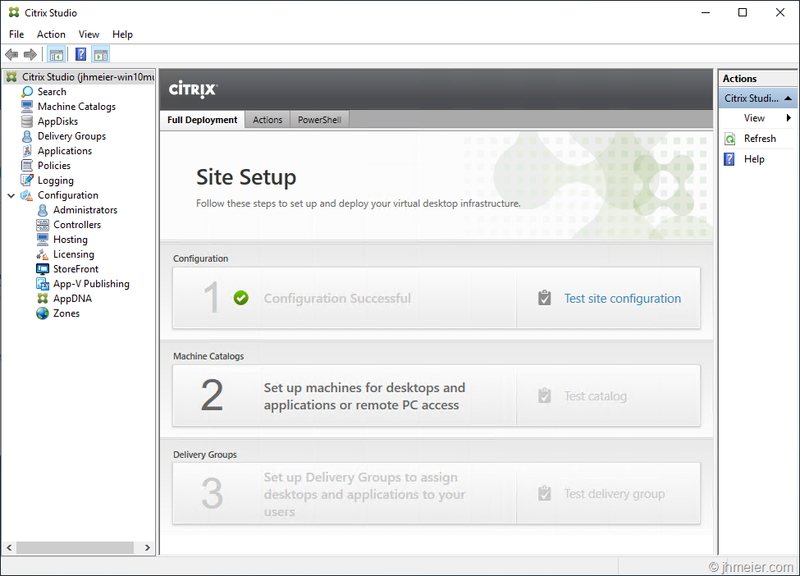 Thus you could run all Citrix Infrastructure Components on one VM – not supported of cause but nice for some testing. 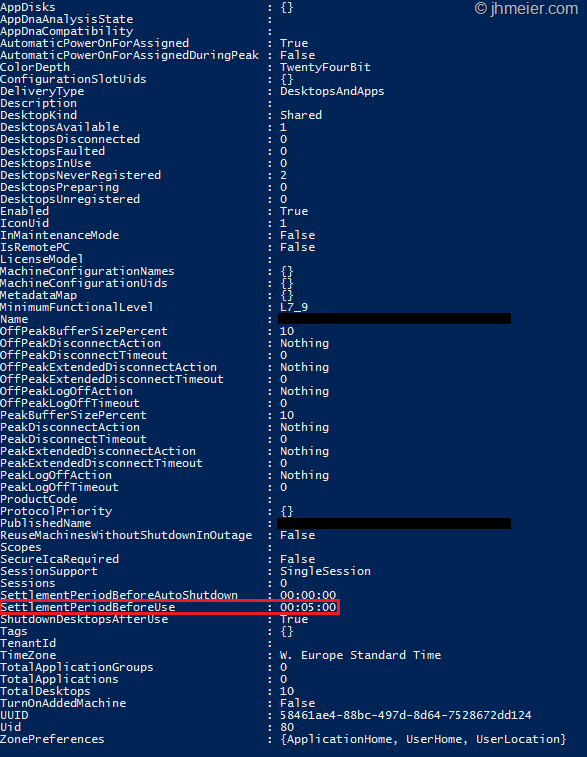 Beside that it’s really interesting to see that next to the VDA also a lot of the Delivery Controller Components just work out of the box on Windows 10 Enterprise for Virtual Desktops. 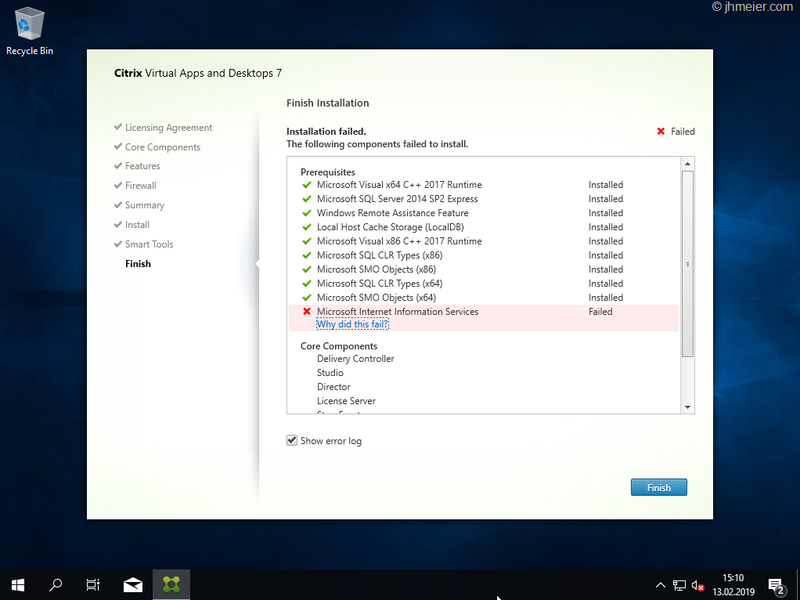 When we look at the behaviour of the Citrix Components it looks like all Server features (including RDSH) that the Citrix installer uses to detect if it is a Desktop- or Server-OS are integrated into Windows 10 Enterprise for Virtual Desktops. You can find the P4 data in this PDF. Let us compare the data of both cards that we have until now. As you can see both cards are really similar. The just need a single slot. Thus, you can put up to six (or sometimes eight -yes there are a few servers that support eight(!) cards – just check the HCL) cards in one server and have a limited power consumption. 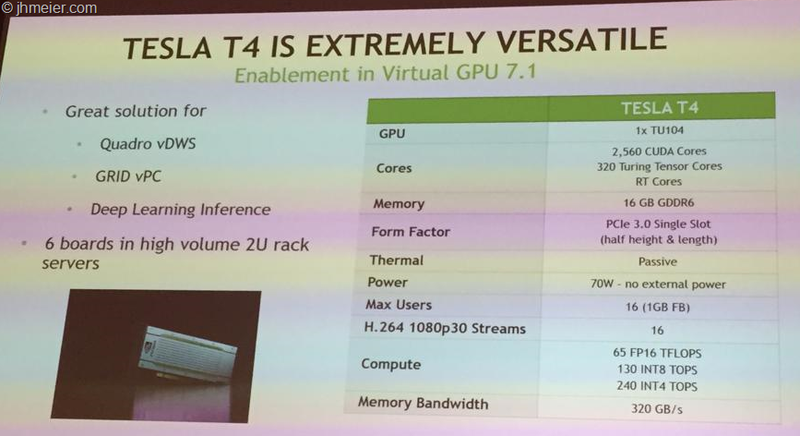 The only difference is that the T4 uses the new Turing chip and has doubled Frame Buffer (16 GB). That means you can run 16 VMs each with a 1 GB Frame Buffer on this card. 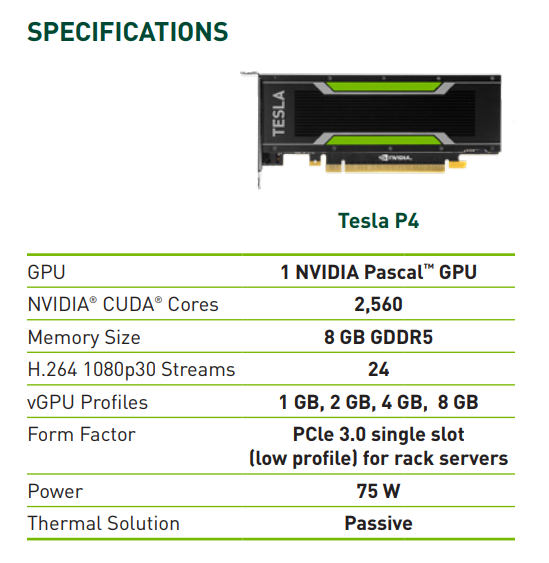 Although I don’t know if the touring chip offers enough performance for that (as I have no testcard until now @NVIDIA) it might be a good option to have 8 VMs with 2 GB Frame Buffer on one card. That would help in many situations where 1 GB Frame Buffer is not enough. In this situation you could only put 4 VMs on one card. Here are two details shown I didn’t find somewhere else. First there are the Max Users – wouldn’t be to hard to calculate when you know that the smallest profile is a 1B profile (= 1GB Frame Buffer). But next too that there is the number of H.264 1080p 30 Streams. So, let’s add these points to our list. What’s that? The number of H.264 1080p 30 Streams is lower on a T4 (16) compared to a P4 which has 24 Streams. The T4 has 8 (!) Streams less than a P4?!? If you keep in mind that e.g. in a HDX 3D Pro environment each monitor of a user with activity requires one stream that means that with 8 users having a dual monitor all available Streams can already be used. If you put more users on the same card it might happen that this leads to a performance issue for the users as there not enough H.264 Streams available. Unfortunately, I haven’t found anything on NVIDIAs website that proofs that this number of H.264 Streams is correct and was not just a typo in the slide. But if it’s trues I am wondering why that happened? What did NVIDIA change thus the number of streams went down and not up. I would have expected at least 32 Streams (compared to the P4). If it was a card design change that would be contra productive. Let us hope it was just a Typo on the slide. If someone found some other official document which (not) proofs this number please let me know. 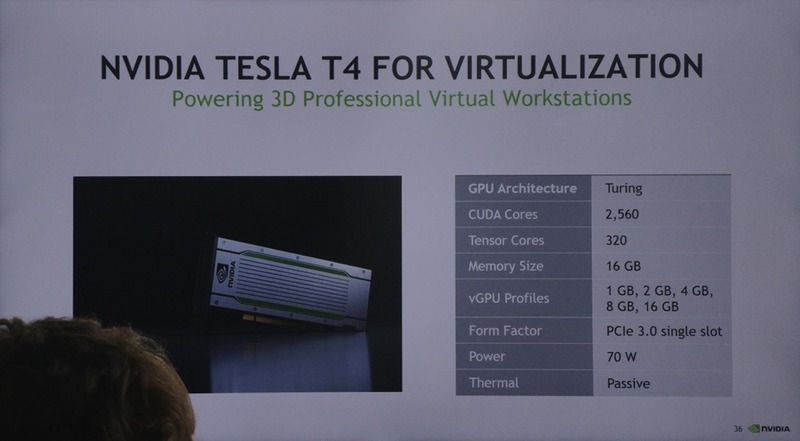 Should the number be correct I hope NVIDIA listens again and changes this before the card is released. I see this as a big bottleneck for many environments. Especially as many don’t know about the number of streams and then wonder why they have a bad performance as the graphics chip itself is not under heavy load and they don’t know that to many required H.264 streams can also lead to a poor performance. Next to that keep in mind that it’s now also possible to use H.265 in some environments – but using that leads possible to less streams as it’s encoding is more resource intensive. 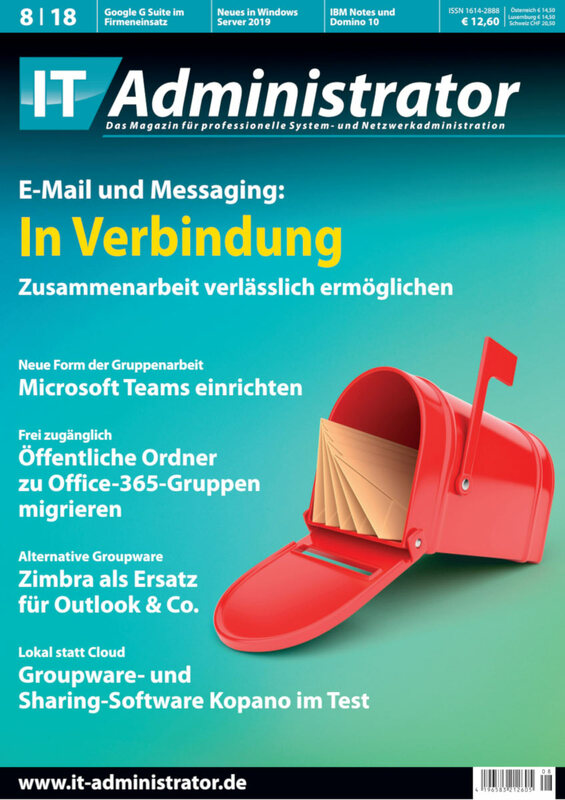 It’s been quite a long time since I have written an article for the German magazine IT Administrator. Thus I thought it’s time for another article. You can find it it in the current IT-Administrator. 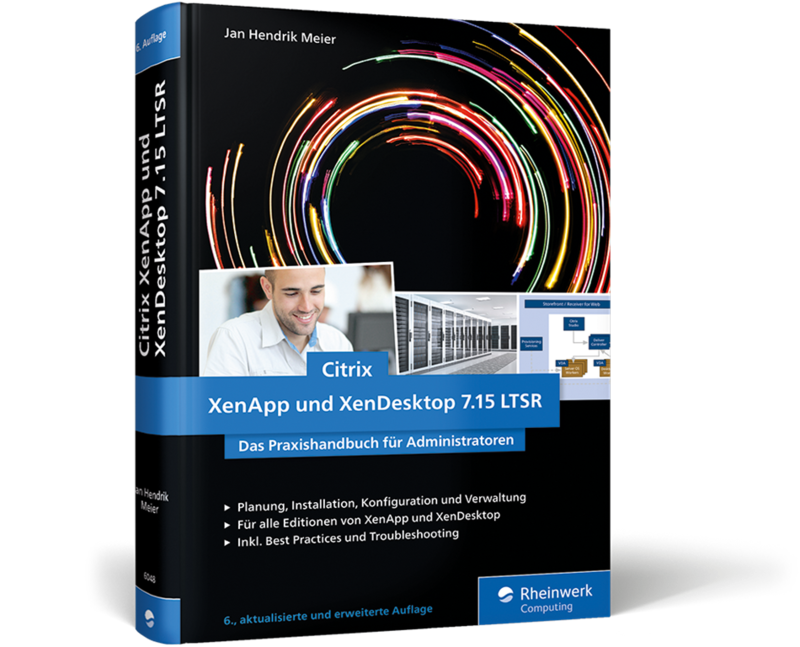 The article describes how you can use Skype for Business in Citrix Environments and benefit from the Citrix RealTime Optimization Pack. 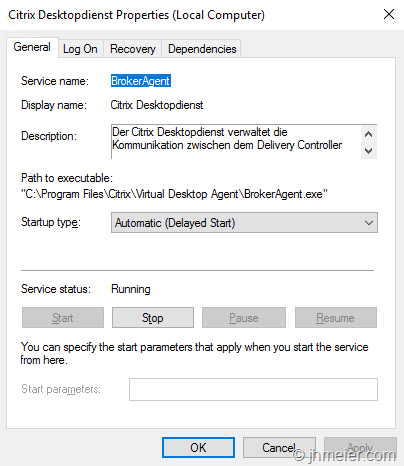 Citrix möchte die reibungslose Nutzung von Skype for Business in VDI-Umgebungen ermöglichen und hat hierfür das Citrix RealTime Optimization Pack veröffentlicht. Wir wollen uns ansehen, wie dieses Plug-in funktioniert und wie Sie es in Ihrer Umgebung implementieren. In this blog post, I would like to show you how to realize the second option. Before we can start with the actual configuration, we need to have a look at a few requirements for this configuration. When you create a High Available UMS Server Infrastructure you should also make the required Database also High Available. Otherwise, all configured UMS Servers stop to work when the Database Server failed. The UMS Servers need to know the actual IP of the Thin Clients. When you would not forward the Client IP all Thin Clients would have the same IP Address. You then won’t be able to send commands to a Thin Client or see their online status. Unfortunately, this leads to another problem. 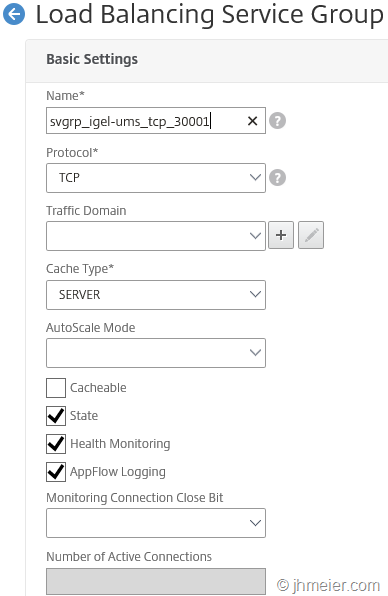 The client connects to the load balanced IP of the UMS Servers. This is forwarded (with the original Client IP) to one UMS Server. This server replies directly to the Thin Client IP. The Thin Client now receives a reply not from the IP Address it initially connected to and ignores the reply. One (easy) way to fix this issue is to put the UMS Servers in a separate Subnet. Add a Subnet IP (SNIP) to the NetScaler in this Subnet and configure this NetScaler SNIP as the Default Gateway for the UMS Servers. 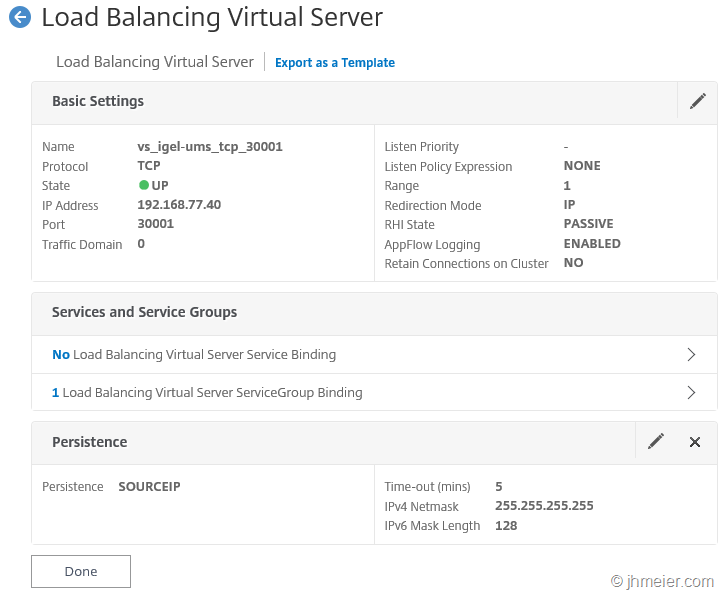 When doing this the UMS Servers receive the original Client IP but the reply to the Client still passes the NetScaler which can then replace the Server IP with the load balanced IP Address. Now let’s start with the actual configuration. 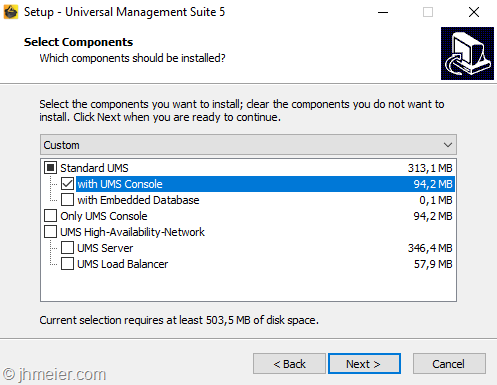 The first step is to install the Standard UMS (with UMS Console) on two (or more) Servers. After the installation finished successfully, it’s time to connect the external Database (if you are unsure about some installation steps have a look at the really good Getting Started Guide). 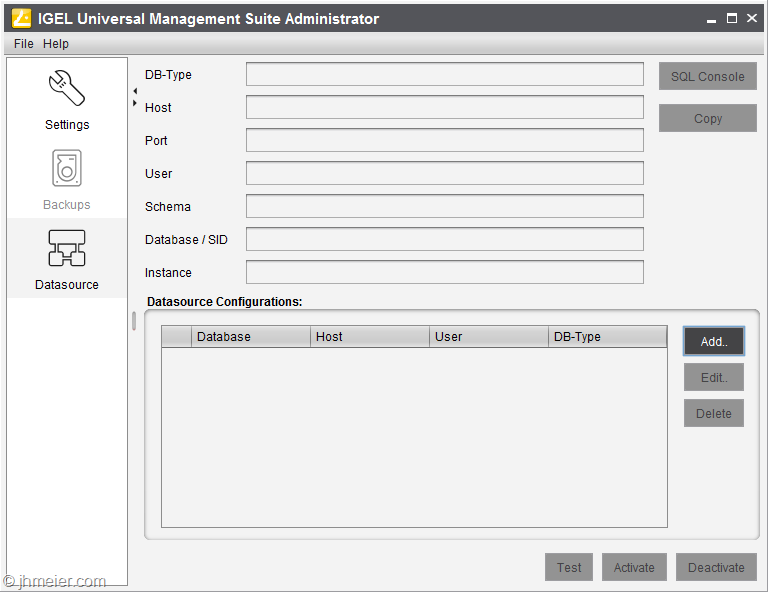 Therefore, open the IGEL Universal Management Suite Administrator and select Datasource. In this example, I will use a Microsoft SQL Always On Cluster – but you can select every type of available Database that offers a high availability option. Of course this is nothing that must be – but how does it help you, when the UMS Servers are high available and the database not? If the database server fails, the UMS would also be down – you still would have a single point of failure. Enter the Host name, Port, User, Schema and Database Name. Keep in mind that the database is not automatically created – you have to do this manually before. For a Microsoft SQL Server you can use the following script to create the Database. 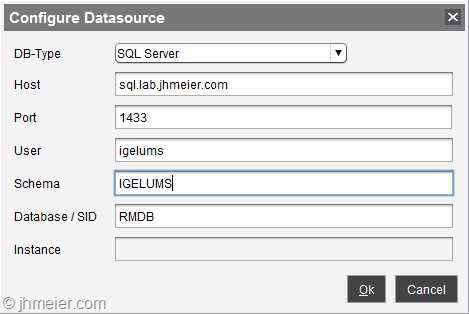 After creating, the database don’t forget to make it highly available – e.g. using the Always-On function. If you prefer a different name change rmdb to the required name. Beside that replace setyourpasswordhere with a Password. The user (Create User) and Schema (Create Schema) name can also be changed . 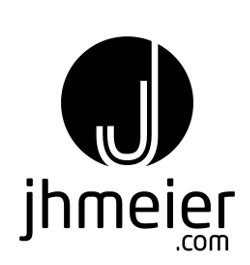 After confirming the connection details, you now see the connection. To enable the connection select Activate and enter the Password of the SQL User. On the first server, you will get the information that there is no schema in the Database that needs to be created. Confirm this with Yes. You now should see an activated Datasource Configuration. Repeat the same steps on the second UMS Server. 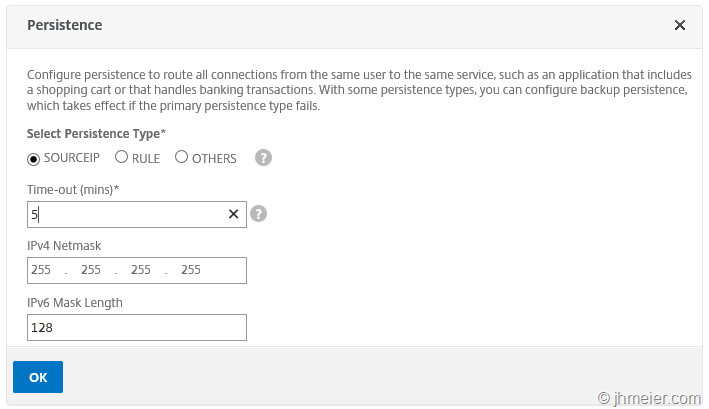 Of course, you don’t need to create another Database – just connect to the same Database like with the first server. Repeat this for all UM-Servers (in my example I added two servers). 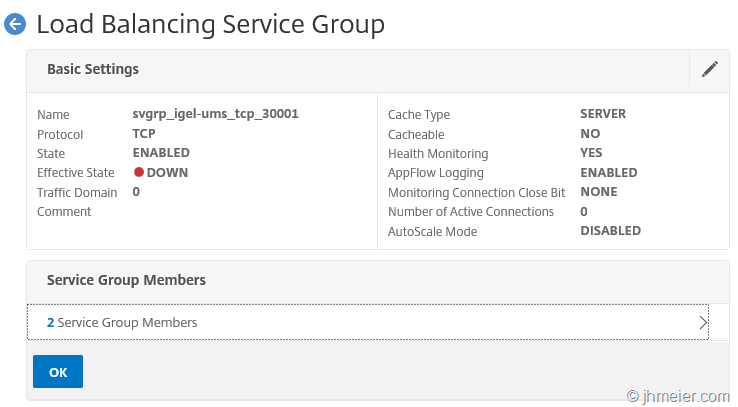 Now we need Services or a Service Group containing / for all UMS Servers. I personally prefer the Service Groups but if you normally use Services this is also possible. 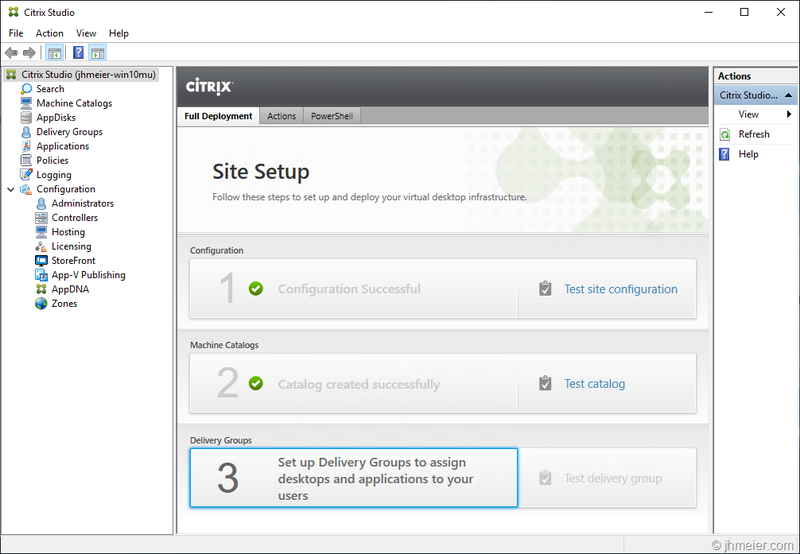 After switching to Service Groups select again Add to create the first UMS Service Group. In total, we need three Service Groups. The first one we create is the Service Group for Port 30001. Enter a Name and select TCP as the Protocol. The other settings don’t need to be changed. Now we need to add the Service Group Members. 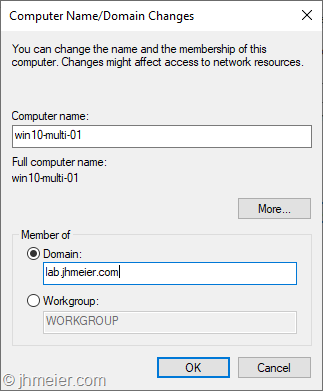 Select therefore No Service Group Member. 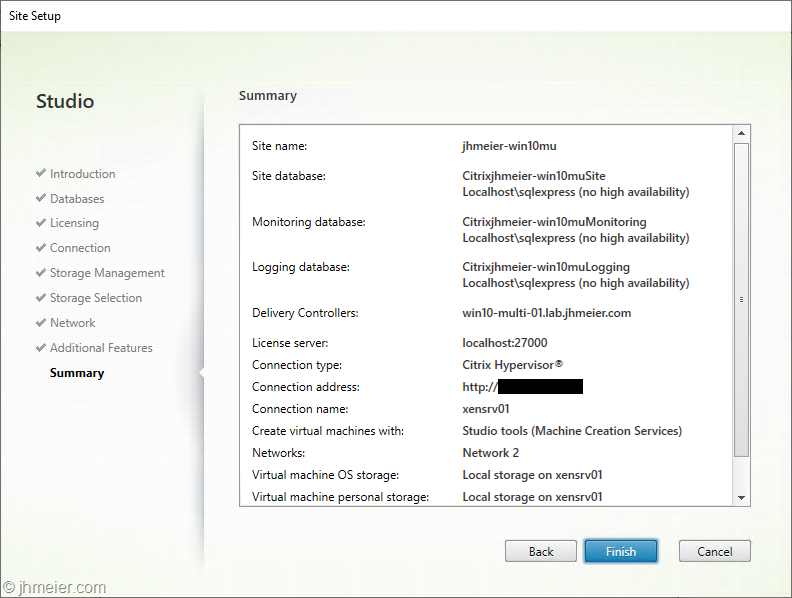 Mark the UMS Servers created in the Servers area and confirm the selection with Select. Again, enter the Port number 30001 and finish with Create. The Service Group now contains two Service Group Members. As mentioned at the beginning we need to forward the Client IP to the UMS Servers. Otherwise, every client would have the same IP – the NetScaler Subnet IP. Therefore, edit the Settings (not Basic Settings!) 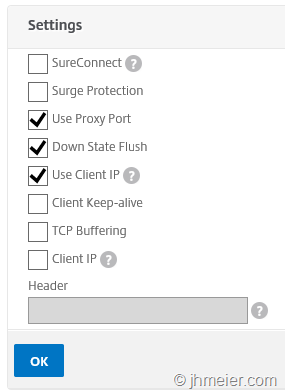 and enable Use Client IP. 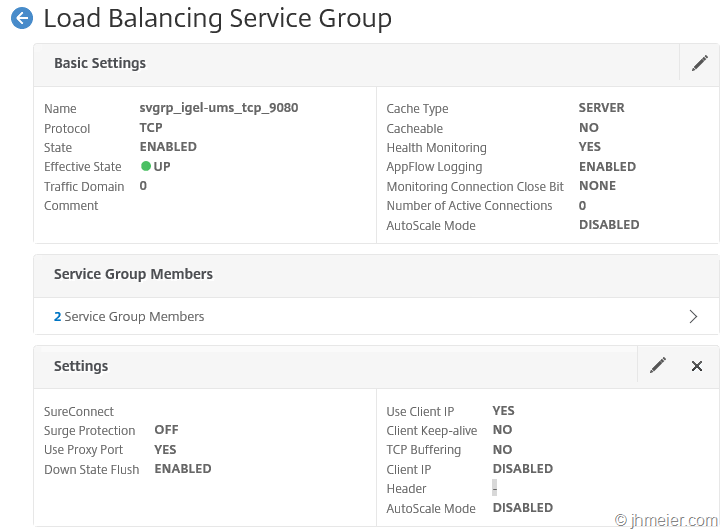 Confirm the configuration with OK.
That’s it – the Service Group for Port 30001 is now configured. 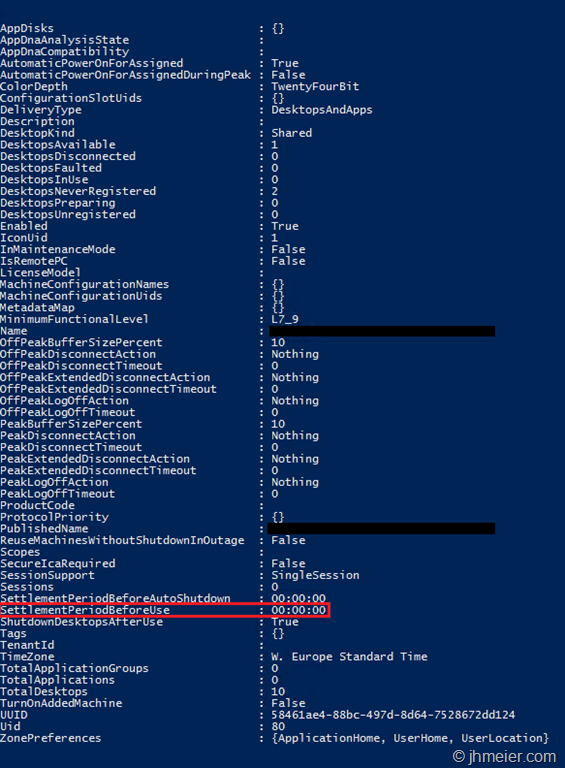 Repeat the same steps for Port 8443 – but do not enable Use Client IP. 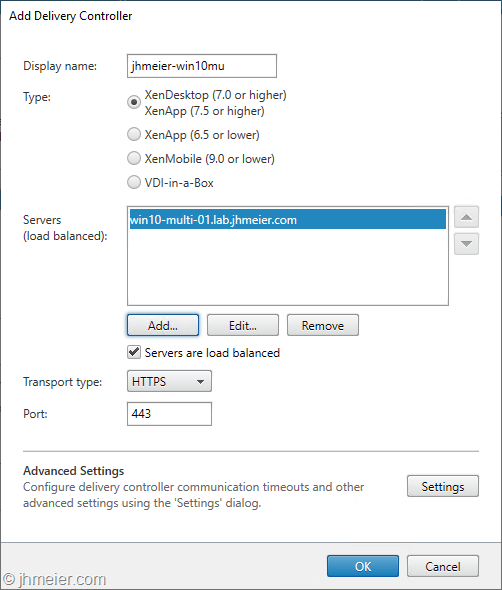 Otherwise, you will not be able to connect to the UMS Servers with the load balanced IP / Name inside the IP Range of the UMS Servers itself. 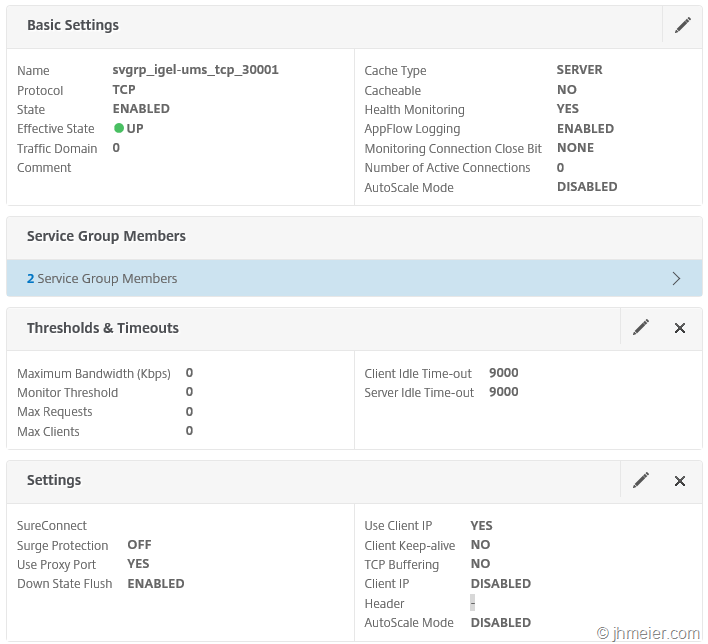 Finally, you need to create a Service Group for Port 9080 – this time you can again forward the Client IP. At the end, you should have three Service Groups. 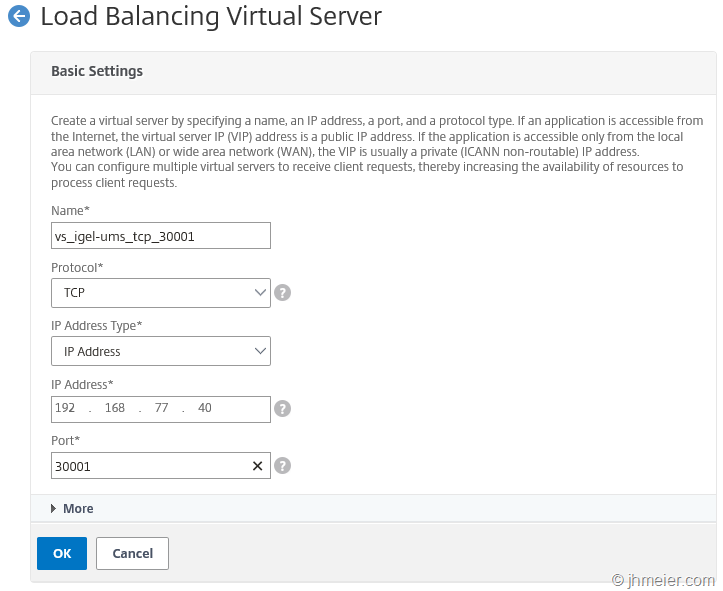 Time to create the actual client connection points – the Virtual Servers (Traffic Management => Load Balancing => Virtual Servers). 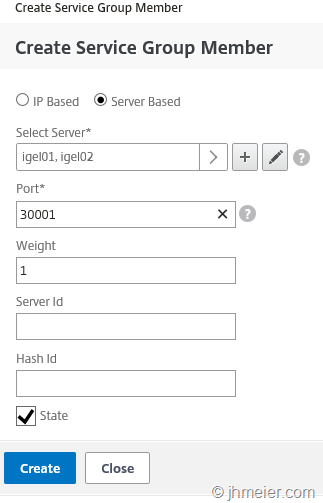 Like before select Add to create a new Virtual Server. Again, we need three virtual servers for the Ports 30001, 8443 and 9080. The first Virtual Server we create is for Port 30001. Enter a Name and choose TCP as the Protocol. Furthermore, enter a free IP Address in the separate Subnet of the UM-Servers. The Port is of course 30001. After this, we need to bind the Services or Service Group to this Virtual Server. 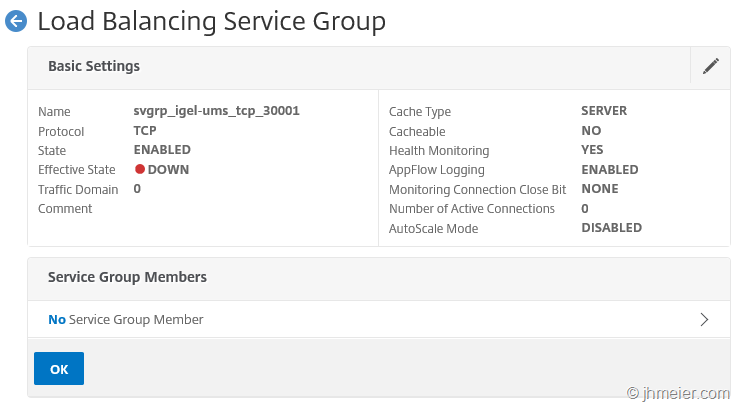 If you created Services and not a Service Group make sure, you add the Services of all UMS Servers. 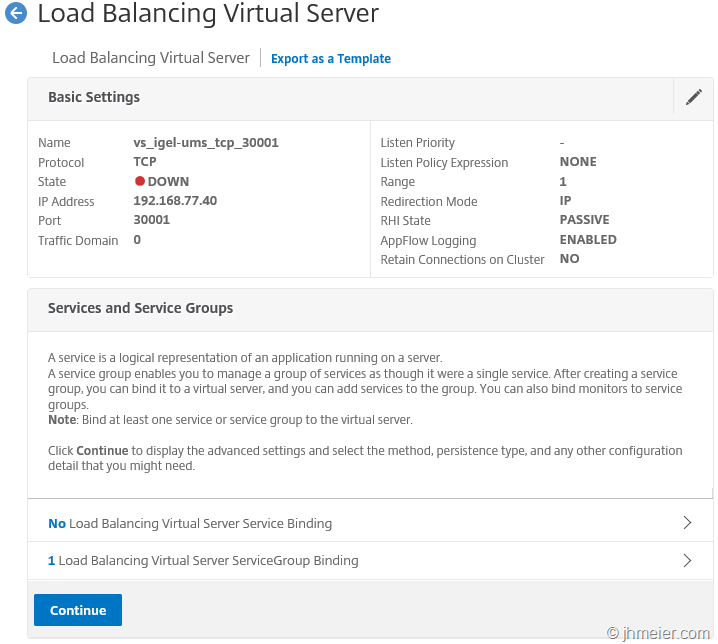 To add a created Service Group click on No Load Balancing Virtual Server Service Group Binding. 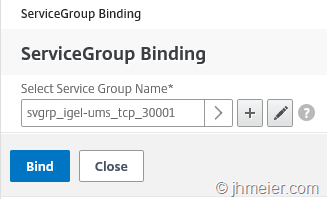 Select the Service Group for Port 30001 and confirm the selection with Bind. 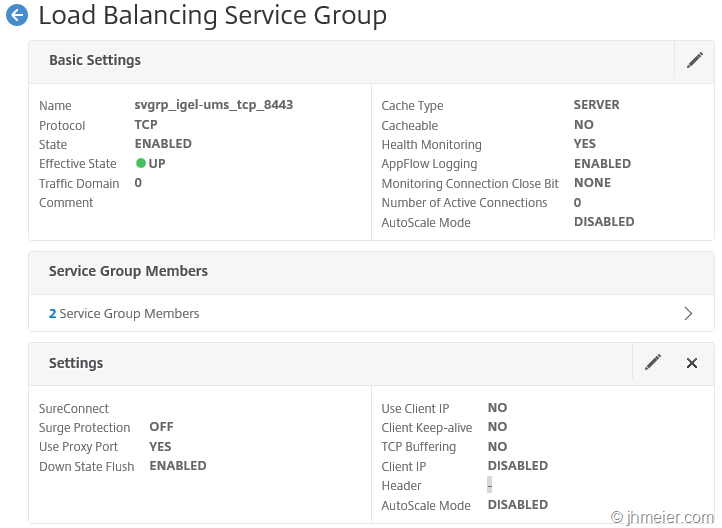 The Service Group is now bound to the Virtual Server. Press Continue to get to the next step. When a client connects, we need to make sure it always connects to the same UMS Server after the initial connection and not flips between them. 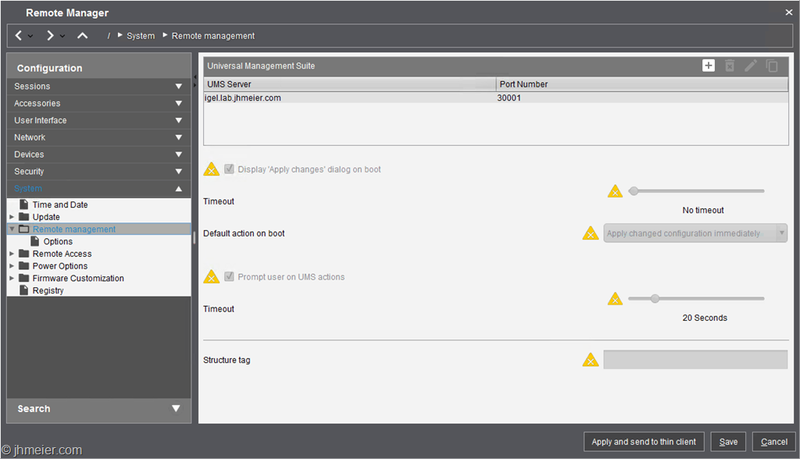 When a client stopped the connection or a UMS Server failed, it’s of course OK if the client connects to the other UMS Server. Herefore, we need to configure a Persistence. As Persistence Type, we select Source IP and the Time-Out should be changed to 5. IPv4 Netmask is 255.255.255.255. Confirm the Persistence with OK. Finish the Virtual Server configuration with Done. Repeat the same steps for the other two ports – thus you have three Virtual Servers at the end. Of course, all need to use the same IP Address. 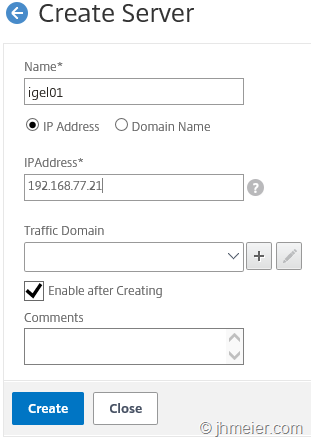 To make it more easy to connect to the Load Balanced UMS Servers it is a good idea to create a DNS-Host-Entry e.g. 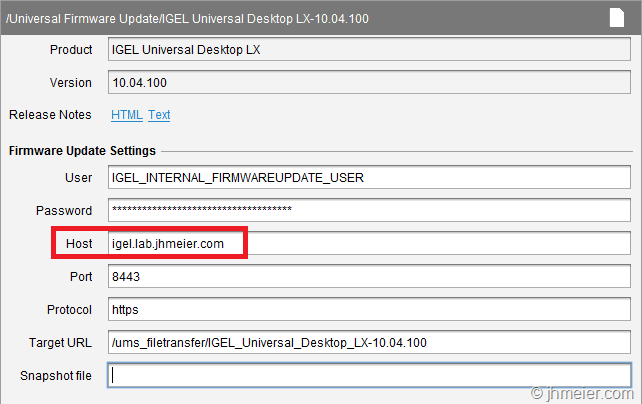 with the name Igel and the IP address from the Virtual Servers. 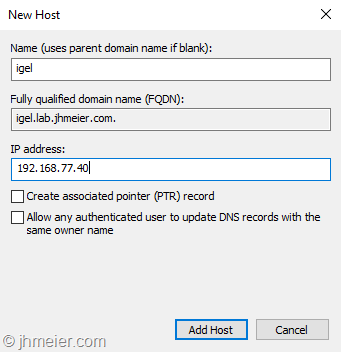 When you added a DHCP Option or DNS Name for the Thin Client Auto registration / connection change them also to the IP address of the Virtual Servers. 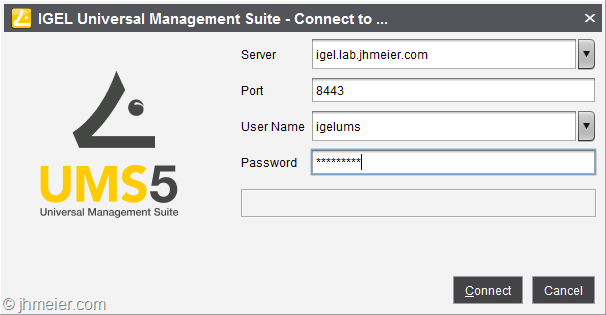 You can now start the IGEL Universal Management Suite and connect to the created Host-Name. After a successful connection, you can see the used server name in the bottom left area and under the Toolbar. System => Remote Management => Universal Management Suite (right area). The last step is necessary to allow the Thin Clients to update / download a firmware even when one UMS Server is not available. 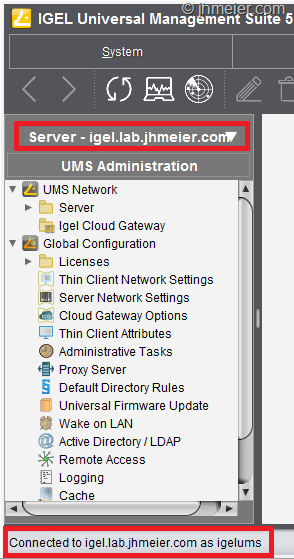 By default, a Firmware always points to one UMS Server and not the Load Balanced Host name. Therefore, switch to the Firmware area and select one Firmware. Here you can find the Host. Change this to the created Host name and save the settings. Repeat this for all required Firmware’s. If you download a new Firmware make sure you always modify the Host – otherwise a new Firmware will only be available from one UMS Server. A good way to do this is using DFS. Nevertheless, every replication technology is fine – just make sure (when changing the Host entry for a Firmware) that the Firmware’s are available on both UMS Servers. That’s it – hope this was helpful for some of you.